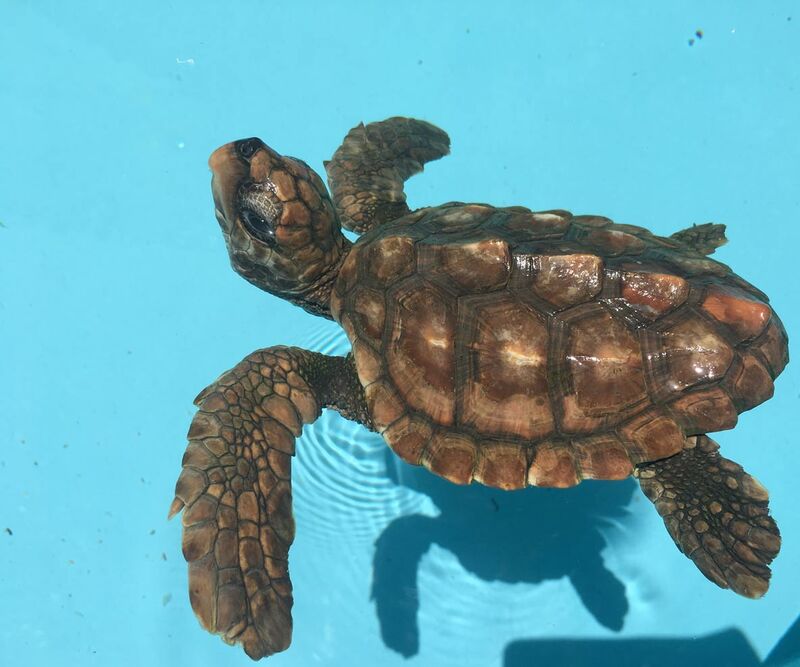 Emme is a baby loggerhead sea turtle, who was brought to our rescue centre having been kept as a pet in a plastic bottle since she hatched. We estimate her to be 2-4 months old. 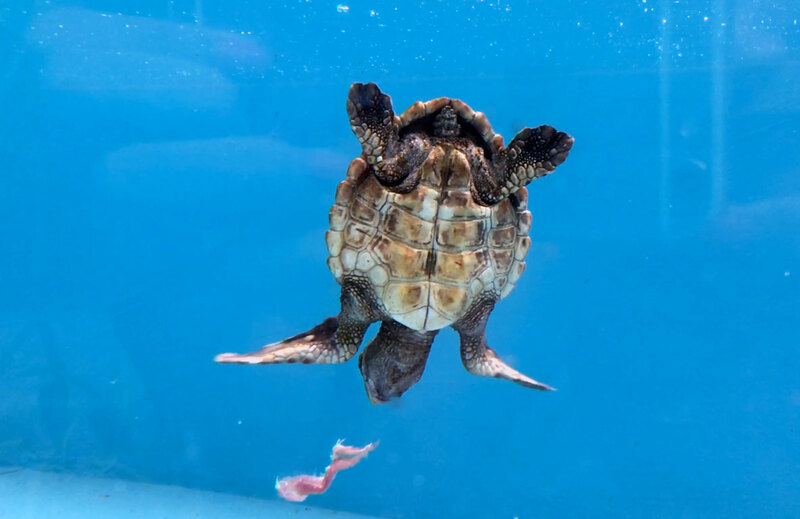 Emme remained at the rescue centre for a few weeks to gain some strength and regain her ability to dive. 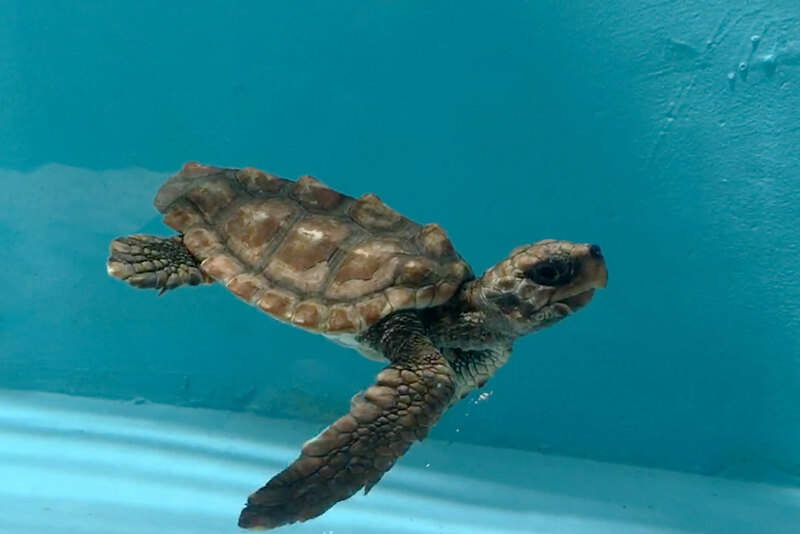 She was successfully released on 30 August 2017. 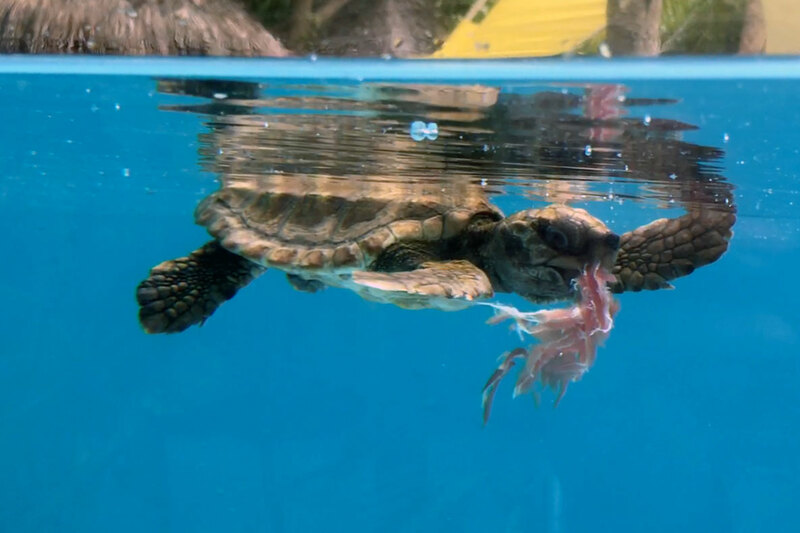 Loggerhead sea turtles are extremely rare in the Maldives, so her presence here is very promising for the species! 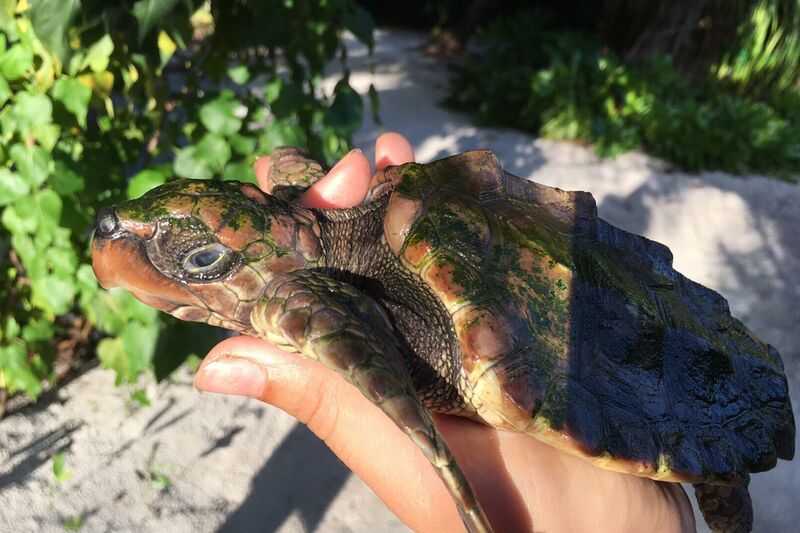 Emme, a baby logghead turtle was brought to the Rescue Centre after having been kept as a pet from hatching. Emme was was successfully released after recovering for a few weeks at the rescue centre. Emme enjoying a bit of tuna. 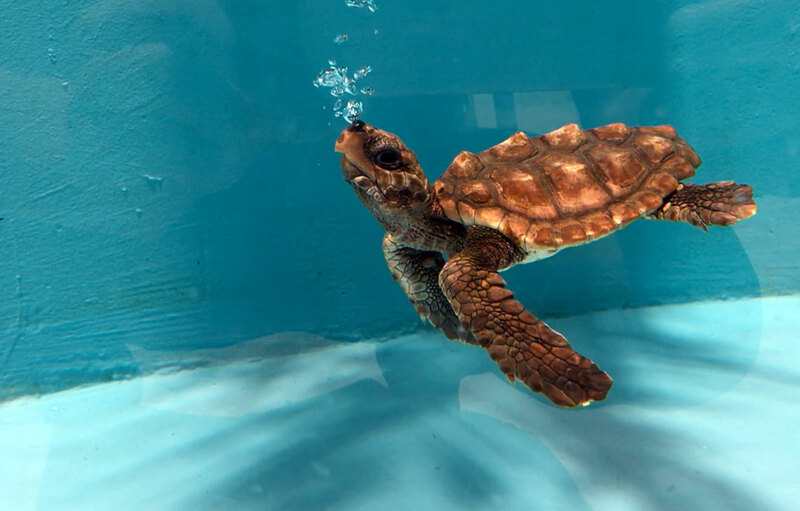 Emme, a juvenile loggerhead sea turtle, was brought to the rescue centre having been kept as a pet since she hatched. We have estimate her to be between 2-4 months old. Emme – so small she fits into the palm of a hand.